Recommended by Dr John Owen and Published for Public Good. 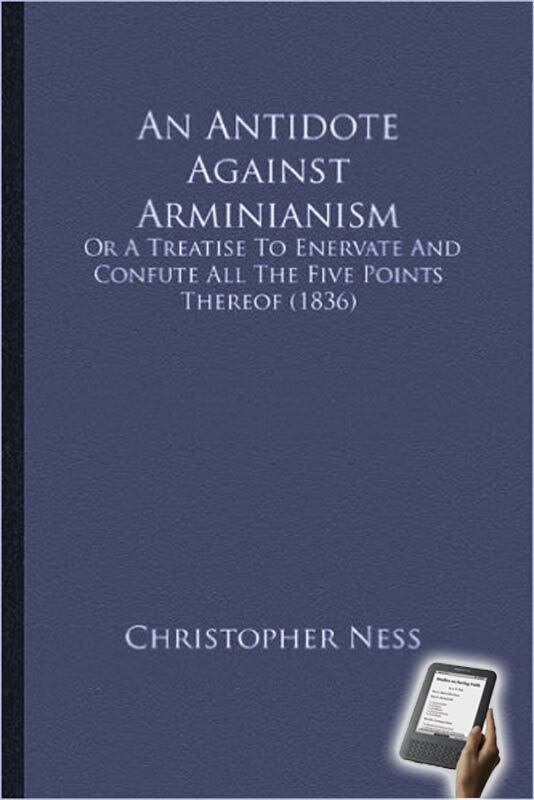 I present to you a new edition of a book, diminutive in size, yet large and exceeding ponderous in relation to the glorious foundation-truths and doctrines of the gospel, which are handled so scripturally throughout, and so luminously, that (as expressed by some very competent judges) "there is no work of the kind that can excel it." Arminianism is here completely stripped of its deceitful covering; and (as it were) anatomically dissected, laid open, and made bare. Free-will, the great idol of fallen man, is thrown down from its assumed eminence, and cast to the moles and the bats; and free-grace, yes, the God of all grace, is exalted, and viewed as seated on the throne of His Glory. Though death and hell obstruct the way;"
Or in a word—salvation all of grace, from first to last, from election to glorification—the creature nothing, and the triune God, all in all. Yes reader, by long experience, I know that an unflinching statement of these glorious truths cannot fail to draw out the latent rancor of the unregenerate mind. But let the case be fairly stated. And in the strong and energetic language of the great Toplady, let me inquire—"
THE EDITOR'S PREFACE TO THIS FOURTH EDITION. a SHORT ACCOUNT of the AUTHOR. Inferences drawn from the foregoing. Inferences drawn from the preceding. How Free is the Free-Will of Man? First Inquiry. What is saving Grace? Second Inquiry. What is it to fall totally and finally? Third Inquiry. What evidence is there that saving grace cannot be lost?